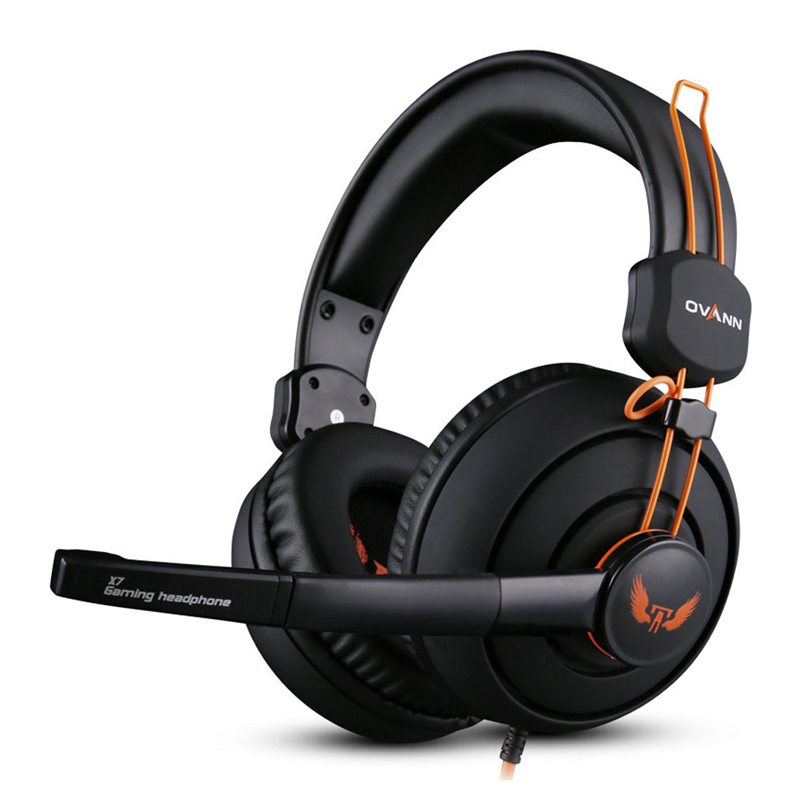 The drives of this series headsets for esports players had been specially optimized, when compared with ordinary drives in the headset, X7 had enhanced the performance of low frequency range, which will lead the sound field more open when gaming, and also excellent performance in the audio and visual effects. The dual 3.5mm jack had been double wrapped, the advantage of adding one more protection layer on the jack is to prevent twisting off or breaking it when plug and pull constantly. The microphone can catch every detail speaking accurately when collecting sounds, because the omnidirectional condenser microphone of it is much sensitive and much widely frequency response. (Note: Please check the volume of microphone input in the settings of your device regarding any unclear sound collection problem of the microphone).